The Large Hadron Collider (LHC) smashes a billion pairs of protons together each second. Occasionally the machine may rattle reality enough to have a few of those collisions generate something that’s never been seen before. But because these events are by their nature a surprise, physicists don’t know exactly what to look for. They worry that in the process of winnowing their data from those billions of collisions to a more manageable number, they may be inadvertently deleting evidence for new physics. 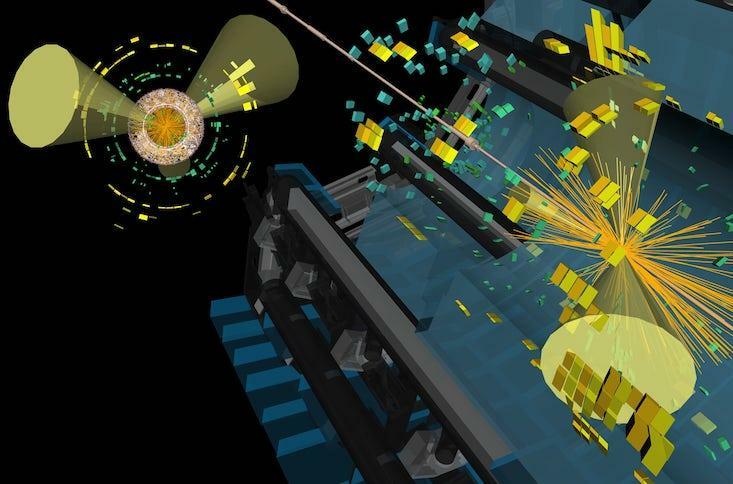 “We’re always afraid we’re throwing the baby away with the bathwater,” said Kyle Cranmer, a particle physicist at New York University who works with the ATLAS experiment at CERN. Scharf, the director of Columbia University’s Astrobiology Center, is a suitably engaging guide. He’s the author of the 2012 book Gravity’s Engines: How Bubble-Blowing Black Holes Rule Galaxies, Stars, and Life in the Universe, and last year, he speculated in Nautilus about whether alien life could be so advanced as to be indistinguishable from physics. Scale is fascinating. Scientifically it’s a fundamental property of reality. We don’t even think about it. We talk about space and time—and perhaps we puzzle more over the nature of time than we do over the nature of scale or space—but it’s equally mysterious. It’s something we all have direct experience of, even intuitively. We learn to evaluate the size of things. But we’re operating as humans in a very, very narrow slice of what is out there. And we’re aware of a very narrow range of scales: In some sense, we know more about the very large than we do about the very small. We know about atoms, kind of, but if you go smaller, it gets more uncertain—not just because of intrinsic uncertainty, but the completeness of our physics gets worse. We don’t really know what’s happening here. That leads you to a mystery at the Planck scale. On the big scale, it’s stuff we can actually see, we can actually chart. Not an alien planet, but the faceted eye of a louse embedded in an elephant’s skin. The Zoomable Universe. At certain scales, there’s not much happening. Does that hint at some underlying mystery? I think that is something worth contemplating. There’s quarks and then there’s 20 orders of magnitude smaller where—what do you say about it? That was the experience for the very small, but on the larger scale there’s some of that too…the emptiness of interstellar space. It is striking how empty most of everything is on the big scale and the small scale. We have all this rich stuff going on in the scale of the solar system and the earth and our biological scale. That’s where we’ve gained the most insight, accumulated the most knowledge. It is the scale where matter seems to condense down, where things appear solid, when in fact, it’s equally empty on the inside. But is that a human cultural bias? Or is that telling us something profound about the nature of the universe? I don’t really know the answer to that. But there’s something about the way we’re built, the way we think about the world. We’re clearly not attuned to that emptiness. Yet we’re drawn to it. How did you represent things that we don’t have pictures of, like the surface of an exoplanet, or things at really small scales? That’s something we definitely talked a lot about in putting the book together. 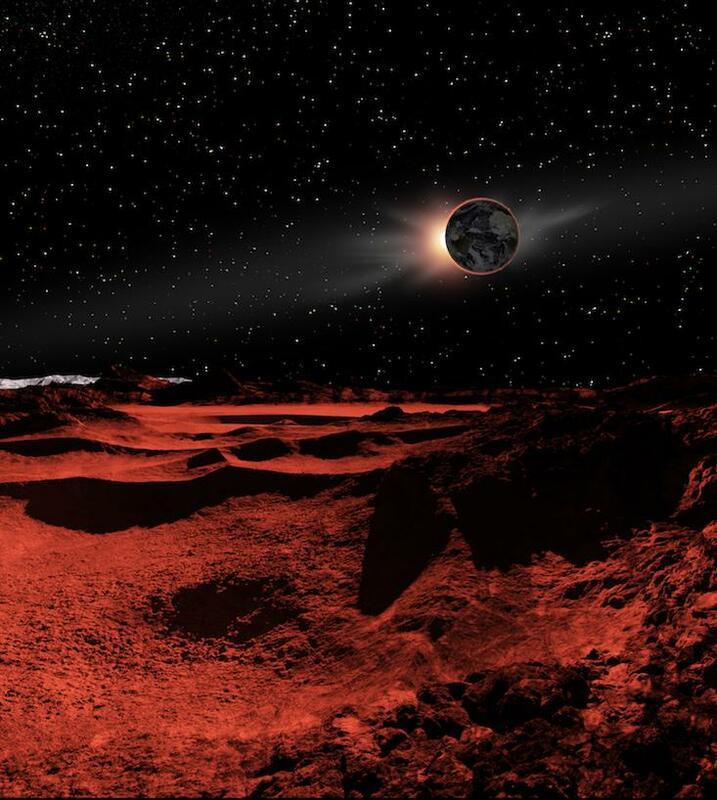 Ron Miller, the artist, would produce a landscape for an exoplanet. As a scientist, my inclination is to say, “We can’t do that—we can’t say what it looks like.” So we had this dialogue. We wanted an informed artistic approach. It became tricky when we got down to a small scale. I wanted to avoid the usual trope, which is an atom is a sphere, or a molecule is a sphere connected by things. You can’t have a picture of these things in the sense that we’re used to. We tried to compromise. We made something people kind of recognize, but we avoid the ball and stick models that are glued in everyone’s head. This month, before LIGO, the Laser Interferometer Gravitational Wave Observatory, and its European counterpart Virgo, were going to close down for a year to undergo upgrades, they jointly surveyed the skies. It was a small observational window—the 1st to the 25th—but that may have been enough: A rumor that LIGO has detected another gravitational wave—the fourth in two years—is making the rounds. But this time, there’s a twist: The signal might have been caused by the merger of two neutron stars instead of black holes. If the rumor holds true, it would be an astonishingly lucky detection. To get a sense of the moment, Nautilus spoke to David Radice, a postdoctoral researcher at Princeton who simulates neutron star mergers, “one of LIGO’s main targets,” he says. This potential binary neutron star merger sighting reminds me of when biologists think they’ve discovered a new species. How would you describe it? I do agree that this is the first time something like this has been seen. For me, a nice analogy is one of particle colliders. In a sense, neutron star mergers are the largest hadron colliders ever conceived. Instead of smashing a few nucleons, it’s like smashing 1060 of them. So by looking at the aftermath, we can learn a lot about fundamental physics. There is a lot that can happen when these stars collide and I don’t think we have a full knowledge of all the possibilities. I think we’ll learn a lot and see new things. What it would it mean if they were detecting a neutron star binary merger? What makes a neutron star binary merger different from a black hole binary merger? One of the main things is that in a black hole binary merger, you’re just looking at the space-time effects. In this case we are looking at this extremely dense matter. 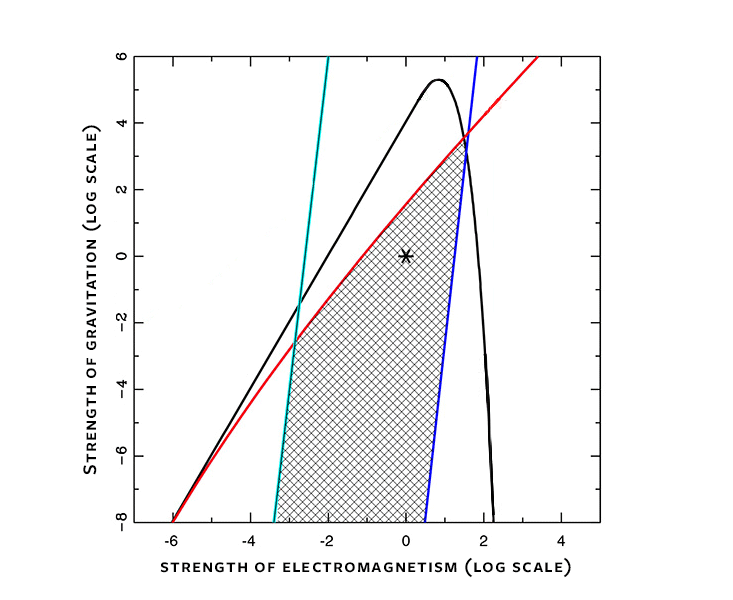 There are a lot of things that you can hope to learn about neutron star mergers. We’re looking at them for a source of gamma ray bursts, or as the origin of heavy elements, or as a way to learn about physics of very high density matter. One idea that has been around now for a few years is that many of the heavy elements—elements, for example, like platinum or gold—may actually be produced in neutron star mergers. Material is ejected, and because of nuclear processes, it will produce these heavy elements that are otherwise difficult to produce in normal stars. 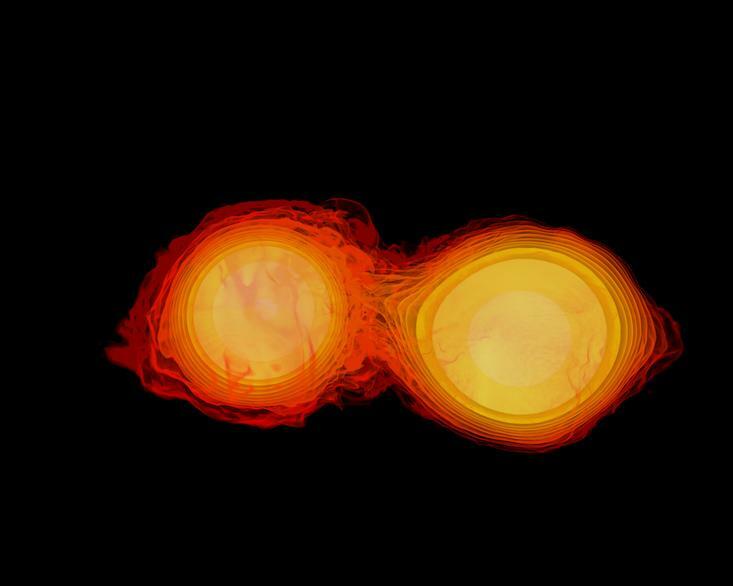 You’ve created visual simulations of neutron star mergers, like the one below. How much power is required to run them? It’s publicly available—anyone can download the code and do simulations similar to those…but you need to run them on a supercomputer. It typically takes weeks on thousands of processors, but it can tell you a lot about these mergers. Now the two detectors both LIGO and Virgo are expected to shut down and go through a series of upgrades. When they come back online, their sensitivity will be significantly boosted so we can see much farther out and learn more about each event. We say a river flows because it moves through space with respect to time. But time can’t move with respect to time—time is time.Image by violscraper / Flickr. NIST-F2 atomic clock operated by America’s National Institute of Standards and Technology in Boulder, Colorado. China to launch world’s first ‘cold’ atomic clock in space … and it’ll stay accurate for a billion years. Paul Davies has a lot on his mind—or perhaps more accurate to say in his mind. A physicist at Arizona State University, he does research on a wide range of topics, from the abstract fields of theoretical physics and cosmology to the more concrete realm of astrobiology, the study of life in places beyond Earth. Nautilus sat down for a chat with Davies, and the discussion naturally drifted to the subject of time, a long-standing research interest of his. Here is a partial transcript of the interview, edited lightly for length and clarity. Is the flow of time real or an illusion? The flow of time is an illusion, and I don’t know very many scientists and philosophers who would disagree with that, to be perfectly honest. 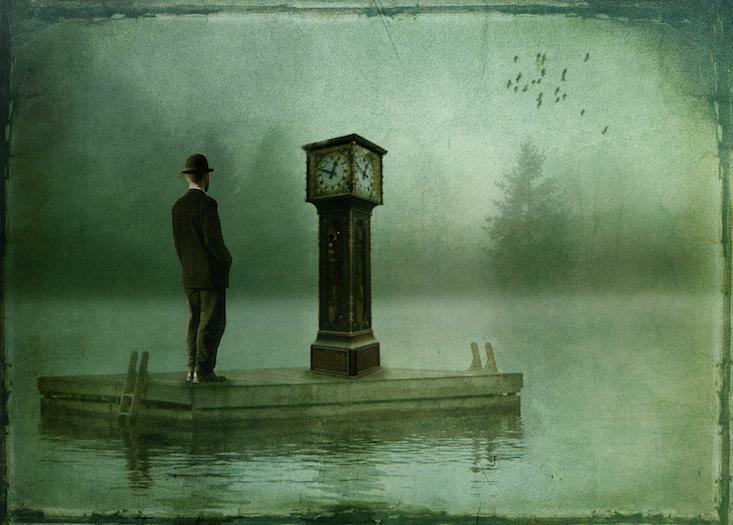 The reason that it is an illusion is when you stop to think, what does it even mean that time is flowing? When we say something flows like a river, what you mean is an element of the river at one moment is in a different place of an earlier moment. In other words, it moves with respect to time. But time can’t move with respect to time—time is time. A lot of people make the mistake of thinking that the claim that time does not flow means that there is no time, that time does not exist. That’s nonsense. Time of course exists. We measure it with clocks. Clocks don’t measure the flow of time, they measure intervals of time. Of course there are intervals of time between different events; that’s what clocks measure. So where does this impression of flow come from? Well, I like to give an analogy. Suppose I stand up, twirl around a few times, and stop. Then I have the overwhelming impression that the entire universe is rotating. I feel it to be rotating—of course I know it’s not. In the same way, I feel time is flowing, but of course I know it’s not. And presumably the explanation for this illusion has to do with something up here [in your head] and is connected with memory I guess—laying down of memories and so on. So it’s a feeling we have, but it’s not a property of time itself. And the other thing people contemplate: They think denying the flow of time is denying time asymmetry of the world. Of course events in the world follow a directional sequence. Drop an egg on the floor and it breaks. You don’t see eggs assembling themselves. Buildings fall down after earthquakes; they don’t rise up from heaps of rubble. [There are] many, many examples in daily life of the asymmetry of the world in time; that’s a property of the world. It’s not a property of time itself, and the explanation for that is to be sought in the very early universe and its initial conditions. It’s a whole different and perfectly respectable subject. Is time fundamental to the Universe? Time and space are the framework in which we formulate all of our current theories of the universe, but there is some question as to whether these might be emergent or secondary qualities of the universe. It could be that fundamentally the laws of the universe are formulated in terms of some sort of pre-space and time, and that space-time comes out of something more fundamental. Now obviously in daily life we experience a three-dimensional world and one dimension of time. But back in the Big Bang—we don’t really understand exactly how the universe was born in the Big Bang, but we think that quantum physics had something to do with it—it may be that this notion of what we would call a classical space-time, where everything seems to be sort of well-defined, maybe that was all closed out. And so maybe not just the world of matter and energy, but even space-time itself is a product of the special early stage of the universe. We don’t know that. That’s work under investigation. So time could be emergent? This dichotomy between space-time being emergent, a secondary quality—that something comes out of something more primitive, or something that is at the rock bottom of our description of nature—has been floating around since before my career. John Wheeler believed in and wrote about this in the 1950s—that there might be some pre-geometry, that would give rise to geometry just like atoms give rise to the continuum of elastic bodies—and people play around with that. The problem is that we don’t have any sort of experimental hands on that. You can dream up mathematical models that do this for you, but testing them looks to be pretty hopeless. I think the reason for that is that most people feel that if there is anything funny sort of underpinning space and time, any departure from our notion of a continuous space and time, that probably it would manifest itself only at the so-called Planck scale, which is [20 orders of magnitude] smaller than an atomic nucleus, and our best instruments at the moment are probing scales which are many orders of magnitude above that. It’s very hard to see how we could get at anything at the Planck scale in a controllable way. If multiple universes exist, do they have a common clock? The inter-comparison of time between different observers and different places is a delicate business even within one universe. When you talk about what is the rate of a clock, say, near the surface of a black hole, it’s going to be quite different from the rate of a clock here on Earth. So there isn’t even a common time in the entire universe. But now if we have a multiverse with other universes, whether each one in a sense comes with its own time—you can only do an inter-comparison between the two if there was some way of sending signals from one to the other. It depends on your multiverse model. There are many on offer, but on the one that cosmologists often talk about—where you have bubbles appearing in a sort of an inflating superstructure—then there’s no direct way of comparing a clock rate in one bubble from clock rates in another bubble. What do you think are the most exciting recent advances in understanding time? 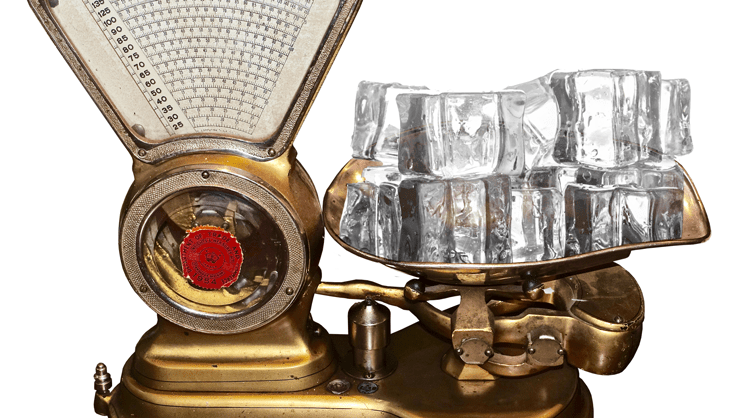 I’m particularly drawn to the work that is done in the lab on perception of time, because I think that has the ability to make rapid advances in the coming years. For example, there are famous experiments in which people apparently make free decisions at certain moments and yet it’s found that the decision was actually made a little bit earlier, but their own perception of time and their actions within time have been sort of edited after the event. When we observe the world, what we see is an apparently consistent and smooth narrative, but actually the brain is just being bombarded with sense data from different senses and puts all this together. It integrates it and then presents a consistent narrative as it were the conscious self. And so we have this impression that we’re in charge and everything is all smoothly put together. But as a matter of fact, most of this is, is a narrative that’s recreated after the event. Where it’s particularly striking of course is when people respond appropriately much faster than the speed of thought. You need only think of a piano player or a tennis player to see that the impression that they are making a conscious decision—“that ball is coming in this direction; I’d better move over here and hit it”—couldn’t possibly be. 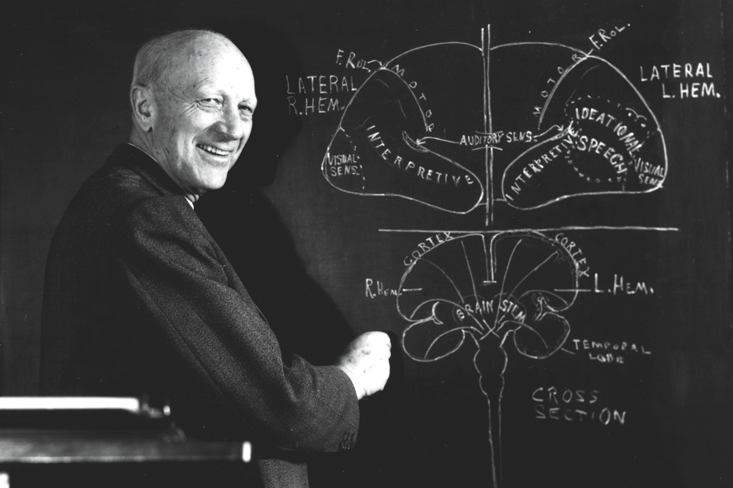 The time it takes for the signals to get to the brain and then through the motor system, back to the response, couldn’t work. And yet they still have this overwhelming impression that they’re observing the world in real time and are in control. I think all of this is pretty fascinating stuff. In terms of fundamental physics, is there anything especially new about time? I think the answer is not really. There are new ideas that are out there. I think there are still fundamental problems; we’ve talked about one of them: Is time an emergent property or a fundamental property? And the ultimate origin of the arrow of time, which is the asymmetry of the world in time, is still a bit contentious. We know we have to trace it back to the Big Bang, but there are still different issues swirling around there that we haven’t completely resolved. But these are sort of airy-fairy philosophical and theoretical issues in terms of measurement of time or anything being exposed about the nature of time. Then of course we’re always looking to our experimental colleagues to improve time measurements. At some stage these will become so good that we’ll no doubt see some peculiar effects showing up. There’s still an outstanding fundamental issue that although the laws of physics are symmetric in time, for the most part, there is one set of processes having to do with the weak interaction where there is apparently a fundamental breakdown of this time-reversal symmetry of a small amount. But it seems to play a crucial role and exactly how that fits into the broader picture in the universe. I think there’s still something to be played out there. So there’s still experiments can be done in particle physics that might disclose this time-reversal asymmetry which is there in the weak interaction, and how that fits in with the arrow of time. 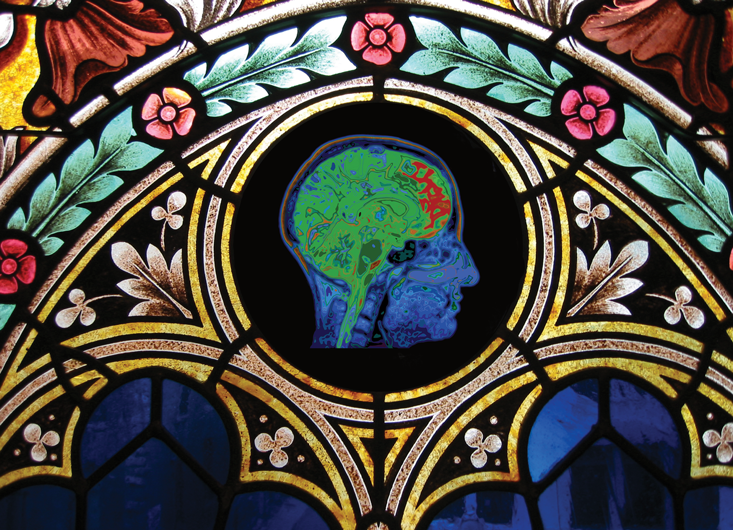 A neurologist’s perspective on research into consciousness. Physicists have always hoped that once we understood the fundamental laws of physics, they would make unambiguous predictions for physical quantities. We imagined that the underlying physical laws would explain why the mass of the Higgs particle must be 125 gigaelectron-volts, as was recently discovered, and not any other value, and also make predictions for new particles that are yet to be discovered. For example, we would like to predict what kind of particles make up the dark matter. These hopes now appear to have been hopelessly naïve. Our most promising fundamental theory, string theory, does not make unique predictions. It seems to contain a vast landscape of solutions, or “vacua,” each with its own values of the observable physical constants. The vacua are all physically realized within an enormous eternally inflating multiverse. Has the theory lost its mooring to observation? If the multiverse is large and diverse enough to contain some regions where dark matter is made out of light particles and other regions where dark matter is made out of heavy particles, how could we possibly predict which one we should see in our own region? And indeed many people have criticized the multiverse concept on just these grounds. If a theory makes no predictions, it ceases to be physics. But an important issue tends to go unnoticed in debates over the multiverse. Cosmology has always faced a problem of making predictions. The reason is that all our theories in physics are dynamical: The fundamental physical laws describe what will happen, given what already is. So, whenever we make a prediction in physics, we need to specify what the initial conditions are. How do we do that for the entire universe? What sets the initial initial conditions? This is science’s version of the old philosophical question of First Cause. The multiverse offers an answer. It is not the enemy of prediction, but its friend. The main idea is to make probabilistic predictions. By calculating what happens frequently and what happens rarely in the multiverse, we can make statistical predictions for what we will observe. This is not a new situation in physics. We understand an ordinary box of gas in the same way. Although we cannot possibly keep track of the motion of all the individual molecules, we can make extremely precise predictions for how the gas as a whole will behave. Our job is to develop a similar statistical understanding of events in the multiverse. This understanding could take one of three forms. First, the multiverse, though very large, might be able to explore only a finite number of different states, just like an ordinary box of gas. In this case we know how to make predictions, because after a while the multiverse forgets about the unknown initial conditions. Second, perhaps the multiverse is able to explore an infinite number of different states, in which case it never forgets its initial conditions, and we cannot make predictions unless we know what those conditions are. Finally, the multiverse might explore an infinite number of different states, but the exponential expansion of space effectively erases the initial conditions. In many ways, the first option is the most agreeable to physicists, because it extends our well-established statistical techniques. Unfortunately, the predictions we arrive at disagree violently with observations. The second option is very troubling, because our existing laws are incapable of providing the requisite initial conditions. It is the third possibility that holds the most promise for yielding sensible predictions. But this program has encountered severe conceptual obstacles. At root, our problems arise because the multiverse is an infinite expanse of space and time. These infinities lead to paradoxes and puzzles wherever we turn. We will need a revolution in our understanding of physics in order to make sense of the multiverse. The first option for making statistical predictions in cosmology goes back to a paper by the Austrian physicist Ludwig Boltzmann in 1895. Although it turns out to be wrong, in its failure we find the roots of our current predicament. Boltzmann’s proposal was a bold extrapolation from his work on understanding gases. To specify completely the state of a gas would require specifying the exact position of every molecule. That is impossible. Instead, what we can measure—and would like to make predictions for—is the coarse-grained properties of the box of gas, such as the temperature and the pressure. A key simplification allows us to do this. As the molecules bounce around, they will arrange and rearrange themselves in every possible way they can, thus exploring all their possible configurations, or “microstates.” This process will erase the memory of how the gas started out, allowing us to ignore the problem of initial conditions. Since we can’t keep track of where all the molecules are, and anyway their positions change with time, we assume that any microstate is equally likely. This gives us a way to calculate how likely it is to find the box in a given coarse-grained state, or “macrostate”: We simply count the fraction of microstates consistent with what we know about the macrostate. So, for example, it is more likely that the gas is spread uniformly throughout the box rather than clumped in one corner, because only very special microstates have all of the gas molecules in one region of the box. For this procedure to work, the total number of microstates, while very large, must be finite. Otherwise the system will never be able to explore all its states. In a box of gas, this finitude is guaranteed by the uncertainty principle of quantum mechanics. Because the position of each molecule cannot be specified exactly, the gas has only a finite number of distinct configurations. Gases that start off clumpy for some reason will spread out, for a simple reason: It is statistically far more likely for their molecules to be uniformly distributed rather than clustered. If the molecules begin in a fairly improbable configuration, they will naturally evolve to a more probable one as they bounce around randomly. Yet our intuition about gases must be altered when we consider huge spans of time. If we leave the gas in the box for long enough, it will explore some unusual microstates. Eventually all of the particles will accidentally cluster in one corner of the box. It is a compelling idea. What a shame that it is wrong. The trouble was first pointed out by the astronomer and physicist Sir Arthur Eddington in 1931, if not earlier. It has to do with what are now called “Boltzmann brains.” Suppose the universe is like a box of gas and, most of the time, is in thermal equilibrium—just a uniform, undifferentiated gruel. 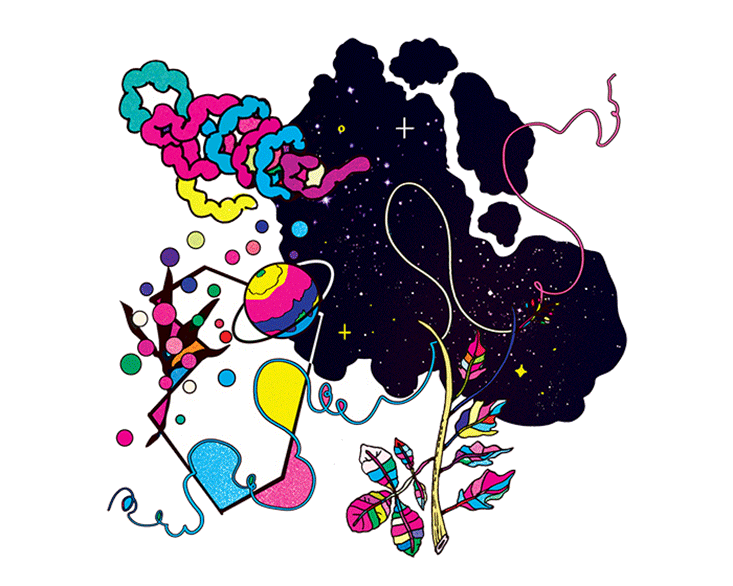 Complex structures, including life, arise only when there are weird fluctuations. At these moments, gas assembles into stars, our solar system, and all the rest. There is no step-by-step process that sculpts it. It is like a swirling cloud that, all of a sudden, just so happens to take the shape of a person. The problem is a quantitative one. A small fluctuation that makes an ordered structure in a small part of space is far, far more likely than a large fluctuation that forms ordered structures over a huge region of space. 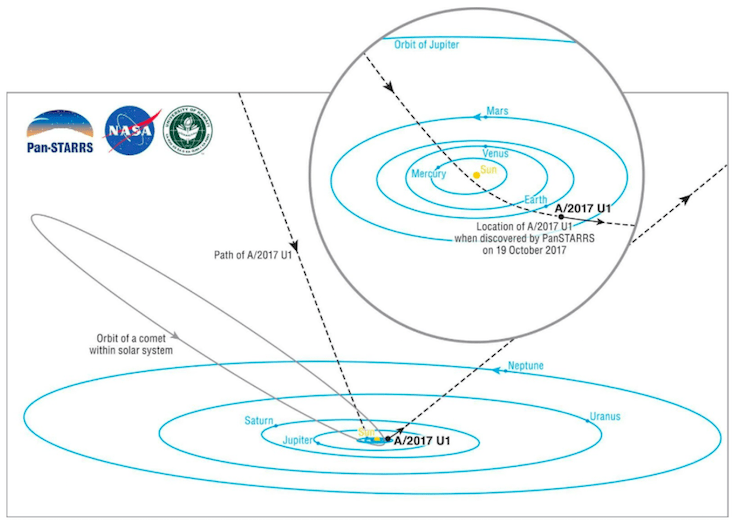 In Boltzmann and Schuetz’s theory, it would be far, far more likely to produce our solar system without bothering to make all of the other stars in the universe. Therefore, the theory conflicts with observation: It predicts that typical observers should see a completely blank sky, without stars, when they look up at night. Taking this argument to an extreme, the most common type of observer in this theory is one that requires the minimal fluctuation away from equilibrium. We imagine this as an isolated brain that survives just long enough to notice it is about to die: the so-called Boltzmann brain. If you take this type of theory seriously, it predicts that we are just some very special Boltzmann brains who have been deluded into thinking that we are observing a vast, homogeneous universe. At the next instant our delusions are extremely likely to be shattered, and we will discover that there are no other stars in the universe. If our state of delusion lasts long enough for this article to appear, you can safely discard the theory. What are we to conclude? Evidently, the whole universe is not like a box of gas after all. A crucial assumption in Boltzmann’s argument is that there are only a finite (if very large) number of molecular configurations. This assumption must be incorrect. Otherwise, we would be Boltzmann brains. So, we must seek a new approach to making predictions in cosmology. The second option on our list is that the universe has an infinite number of states available to it. Then the tools that Boltzmann developed are no longer useful in calculating the probability of different things happening. But then we’re back to the problem of initial conditions. Unlike a finite box of gas, which forgets about its initial conditions as the molecules scramble themselves, a system with an infinite number of available states cannot forget its initial conditions, because it takes an infinite time to explore all of its available states. To make predictions, we would need a theory of initial conditions. Right now, we don’t have one. Whereas our present theories take the prior state of the universe as an input, a theory of initial conditions would have to give this state as an output. It would thus require a profound shift in the way physicists think. The multiverse offers a third way—that is part of its appeal. It allows us to make cosmological predictions in a statistical way within the current theoretical framework of physics. In the multiverse, the volume of space grows indefinitely, all the while producing expanding bubbles with a variety of states inside. Crucially, the predictions do not depend on the initial conditions. The expansion approaches a steady-state behavior, with the expanding high-energy state continually expanding and budding off lower-energy regions. The overall volume of space is growing, and the number of bubbles of every type is growing, but the ratio (and the probabilities) remain fixed. The basic idea of how to make predictions in such a theory is simple. We count how many observers in the multiverse measure a physical quantity to have a given value. The probability of our observing a given outcome equals the proportion of observers in the multiverse who observe that outcome. 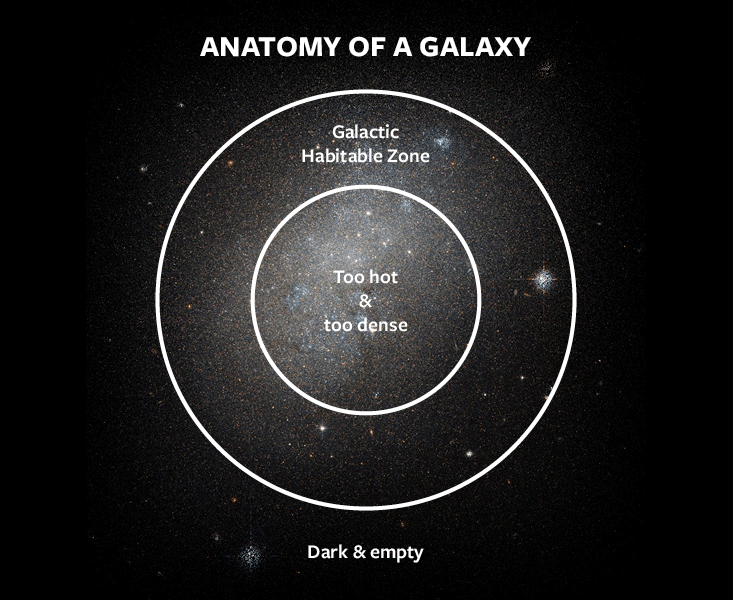 For instance, if 10 percent of observers live in regions of the multiverse where dark matter is made out of light particles (such as axions), while 90 percent of observers live in regions where dark matter is made out of heavy particles (which, counterintuitively, are called WIMPs), then we have a 10 percent chance of discovering that dark matter is made of light particles. The very best reason to believe this type of argument is that Steven Weinberg of the University of Texas at Austin used it to successfully predict the value of the cosmological constant a decade before it was observed. The combination of a theoretically convincing motivation with Weinberg’s remarkable success made the multiverse idea attractive enough that a number of researchers, including me, have spent years trying to work it out in detail. The major problem we faced is that, since the volume of space grows without bound, the number of observers observing any given thing is infinite, making it difficult to characterize which events are more or less likely to occur. This amounts to an ambiguity in how to characterize the steady-state behavior, known as the measure problem. Roughly, the procedure to make predictions goes as follows. We imagine that the universe evolves for a large but finite amount of time and count all of the observations. Then we calculate what happens when the time becomes arbitrarily large. That should tell us the steady-state behavior. The trouble is that there is no unique way to do this, because there is no universal way to define a moment in time. Observers in distant parts of spacetime are too far apart and accelerating away from each other too fast to be able to send signals to each other, so they cannot synchronize their clocks. Mathematically, we can choose many different conceivable ways to synchronize clocks across these large regions of space, and these different choices lead to different predictions for what types of observations are likely or unlikely. One prescription for synchronizing clocks tells us that most of the volume will be taken up by the state that expands the fastest. Another tells us that most of the volume will be taken up by the state the decays the slowest. Worse, many of these prescriptions predict that the vast majority of observers are Boltzmann brains. A problem we thought we had eliminated came rushing back in. When Don Page at the University of Alberta pointed out the potential problems with Boltzmann brains in a paper in 2006, Raphael Bousso at U.C. Berkeley and I were thrilled to realize that we could turn the problem on its head. 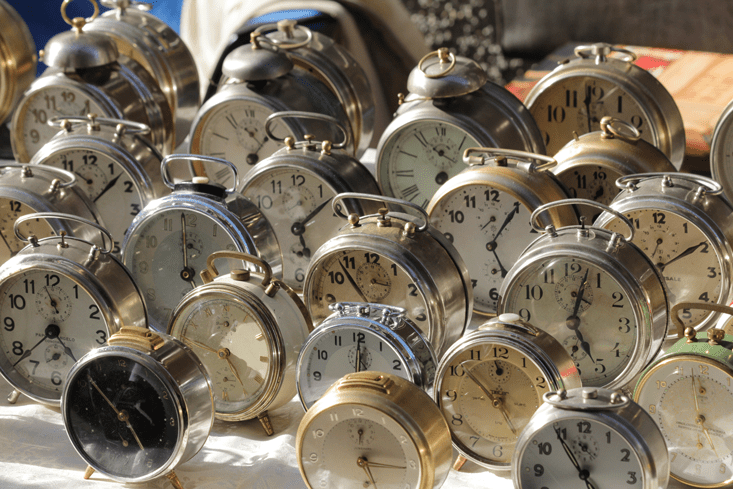 We found we could use Boltzmann brains as a tool—a way to decide among differing prescriptions for how to synchronize clocks. Any proposal that predicts that we are Boltzmann brains must perforce be wrong. We were so excited (and worried that someone else would have the same idea) that we wrote our paper in just two days after Page’s paper appeared. Over the course of several years, persistent work by a relatively small group of researchers succeeded in using these types of tests to eliminate many proposals and to form something of a consensus in the field on a nearly unique solution to the measure problem. We felt that we had learned how to tame the frightening infinities of the theory. Just when things were looking good, we encountered a conceptual problem that I see no escape from within our current understanding: the end-of-time problem. Put simply, the theory predicts that the universe is on the verge of self-destruction. 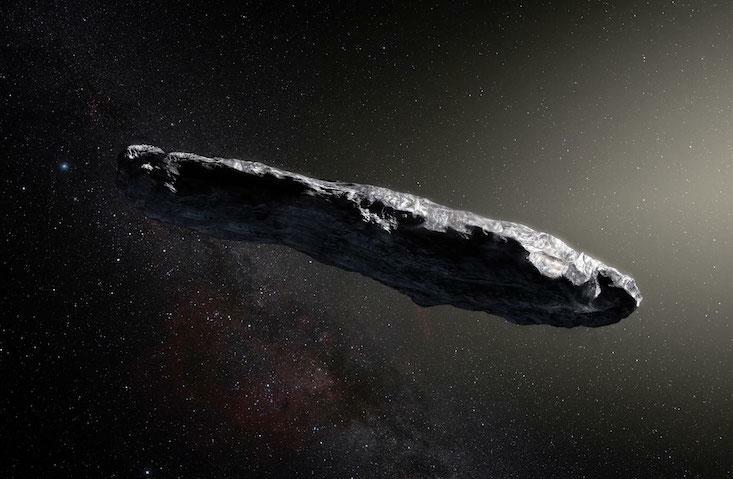 The issue came into focus via a thought experiment suggested by Alan Guth of the Massachusetts Institute of Technology and Vitaly Vanchurin at the University of Michigan in Duluth. This experiment is unusual even by the standards of theoretical physics. Suppose that you flip a coin and do not see the result. Then you are put into a cryogenic freezer. If the coin came up heads, the experimenters wake you up after one year. If the coin came up tails, the experimenters instruct their descendants to wake you up after 50 billion years. Now suppose you have just woken up and have a chance to bet whether you have been asleep for 1 year or 50 billion years. Common sense tells us that the odds for such a bet should be 50/50 if the coin is fair. But when we apply our rules for how to do calculations in an eternally expanding universe, we find that you should bet that you only slept for one year. This strange effect occurs because the volume of space is exponentially expanding and never stops. So the number of sleeper experiments beginning at any given time is always increasing. A lot more experiments started a year ago than 50 billion years ago, so most of the people waking up today were asleep for a short time. The scenario may sound extreme, even silly. But that’s just because the conditions we are dealing with in cosmology are extreme, involving spans of times and volumes of space that are outside human experience. You can understand the problem by thinking about a simpler scenario that is mathematically identical. Suppose that the population of Earth doubles every 30 years—forever. From time to time, people perform these sleeper experiments, except now the subjects sleep either for 1 year or for 100 years. Suppose that every day 1 percent of the population takes part. 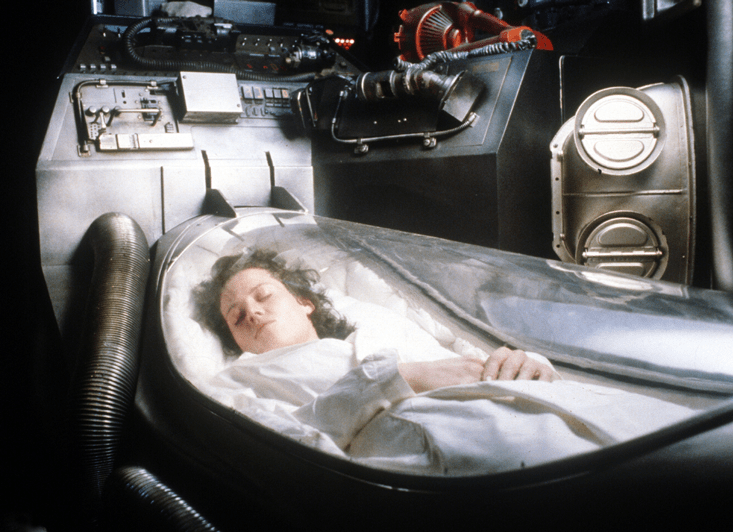 Now suppose you are just waking up in your cryogenic freezer and are asked to bet how long you were asleep. On the one hand, you might argue that obviously the odds are 50/50. On the other, on any given day, far more people wake up from short naps than from long naps. For example, in the year 2016, sleepers who went to sleep for a short time in 2015 will wake up, as will sleepers who began a long nap in 1916. But since far more people started the experiment in 2015 than in 1916 (always 1 percent of the population), the vast majority of people who wake up in 2016 slept for a short time. So it might be natural to guess that you are waking from a short nap. The fact that two logical lines of argument yield contradictory answers tells us that the problem is not well-defined. It just isn’t a sensible problem to calculate probabilities under the assumption that the human population grows exponentially forever, and indeed it is impossible for the population to grow forever. What is needed in this case is some additional information about how the exponential growth stops. Consider two options. In the first, one day no more babies are born, but every sleeper experiment that has begun eventually finishes. In the second, a huge meteor suddenly destroys the planet, terminating all sleeper experiments. You will find that in option one, half of all observers who ever wake up do so from short naps, while in option two, most observers who ever wake up do so from short naps. It’s dangerous to take a long nap in the second option, because you might be killed by a meteor while sleeping. Therefore, when you wake up, it’s reasonable to bet that you most likely took a short nap. Once the theory becomes well-defined by making the total number of people finite, probability questions have unique, sensible answers. In eternal expansion, more sleepers wake up from short naps. 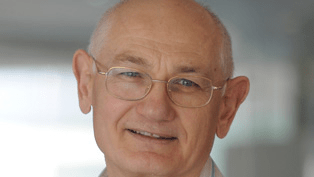 Bousso, Stefan Leichenauer at Berkeley, Vladimir Rosenhaus at the Kavli Institute for Theoretical Physics, and I pointed out that these strange results have a simple physical interpretation: The reason that more sleepers wake up from short naps is that living in an eternally expanding universe is dangerous, because one can run into the end of time. Once we realized this, it became clear that this end-of-time effect was an inherent characteristic of the recipe we were using to calculate probabilities, and it is there whether or not anyone actually decides to undertake these strange sleeper experiments. In fact, given the parameters that define our universe, we calculated that there is about a 50 percent probability of encountering the end of time in the next 5 billion years. To be clear about the conclusion: No one thinks that time suddenly ends in spacetimes like ours, let alone that we should be conducting peculiar hibernation experiments. Instead, the point is that our recipe for calculating probabilities accidentally injected a novel type of catastrophe into the theory. This problem indicates that we are missing major pieces in our understanding of physics over large distances and long times. 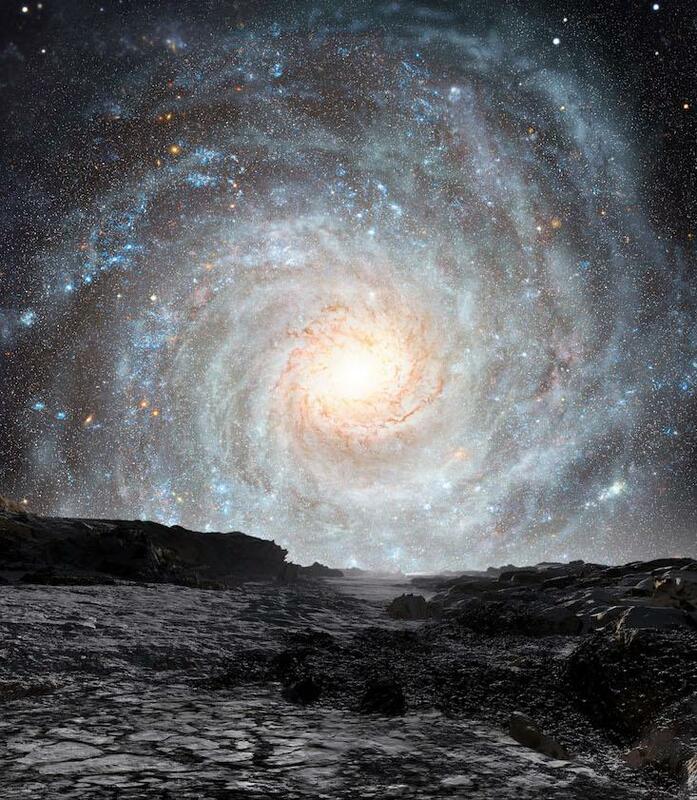 To put it all together: Theoretical and observational evidence suggests that we are living in an enormous, eternally expanding multiverse where the constants of nature vary from place to place. In this context, we can only make statistical predictions. If the universe, like a box of gas, can exist in only a finite number of available states, theory predicts that we are Boltzmann brains, which conflicts with observations, not to mention common sense. If, on the contrary, the universe has an infinite number of available states, then our usual statistical techniques are not predictive, and we are stuck. The multiverse appears to offer a middle way. The universe has an infinite number of states available, avoiding the Boltzmann brain problem, yet approaches a steady-state behavior, allowing for a straightforward statistical analysis. But then we still find ourselves making absurd predictions. In order to make any of these three options work, I think we will need a revolutionary advance in our understanding of physics. Using stiff paper and transparent tape, Craig Kaplan assembles a beautiful roundish shape that looks like a Buckminster Fuller creation or a fancy new kind of soccer ball. It consists of four regular dodecagons (12-sided polygons with all angles and sides the same) and 12 decagons (10-sided), with 28 little gaps in the shape of equilateral triangles. There’s just one problem. This figure should be impossible. That set of polygons won’t meet at the vertices. The shape can’t close up. 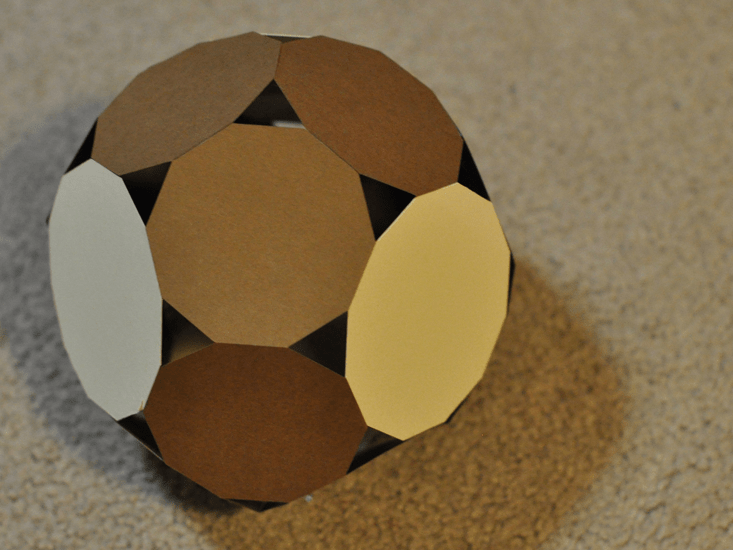 Kaplan’s model works only because of the wiggle room you get when you assemble it with paper. The sides can warp a little bit, almost imperceptibly. “The fudge factor that arises just from working in the real world with paper means that things that ought to be impossible actually aren’t,” says Kaplan, a computer scientist at the University of Waterloo in Canada. It is a new example of an unexpected class of mathematical objects that the American mathematician Norman Johnson stumbled upon in the 1960s. Johnson was working to complete a project started over 2,000 years earlier by Plato: to catalog geometric perfection. Among the infinite variety of three-dimensional shapes, just five can be constructed out of identical regular polygons: the tetrahedron, cube, octahedron, dodecahedron, and icosahedron. If you mix and match polygons, you can form another 13 shapes from regular polygons that meet the same way at every vertex—the Archimedean solids—as well as prisms (two identical polygons connected by squares) and “anti-prisms” (two identical polygons connected by equilateral triangles). In 1966 Johnson, then at Michigan State University, found another 92 solids composed only of regular polygons, now called the Johnson solids. And with that, he exhausted all the possibilities, as the Russian mathematician Viktor Zalgaller, then at Leningrad State University, proved a few years later. It is impossible to form any other closed shapes out of regular polygons. Yet in completing the inventory of polyhedra, Johnson noticed something odd. He discovered his shapes by building models from cardboard and rubber bands. Because there are relatively few possible polyhedra, he expected that any new ones would quickly reveal themselves. Once he started to put the sides into place, the shape should click together as a matter of necessity. But that didn’t happen. “It wasn’t always obvious, when you assembled a bunch of polygons, that what was assembled was a legitimate figure,” Johnson recalls. A model could appear to fit together, but “if you did some calculations, you could see that it didn’t quite stand up,” he says. On closer inspection, what had seemed like a square wasn’t quite a square, or one of the faces didn’t quite lie flat. If you trimmed the faces, they would fit together exactly, but then they’d no longer be exactly regular. Intent on enumerating the perfect solids, Johnson didn’t give these near misses much attention. “I sort of set them aside and concentrated on the ones that were valid,” he says. But not only does this niggling near-perfection draw the interest of Kaplan and other math enthusiasts today, it is part of a large class of near-miss mathematics. There’s no precise definition of a near miss. There can’t be. A hard and fast rule doesn’t make sense in the wobbly real world. 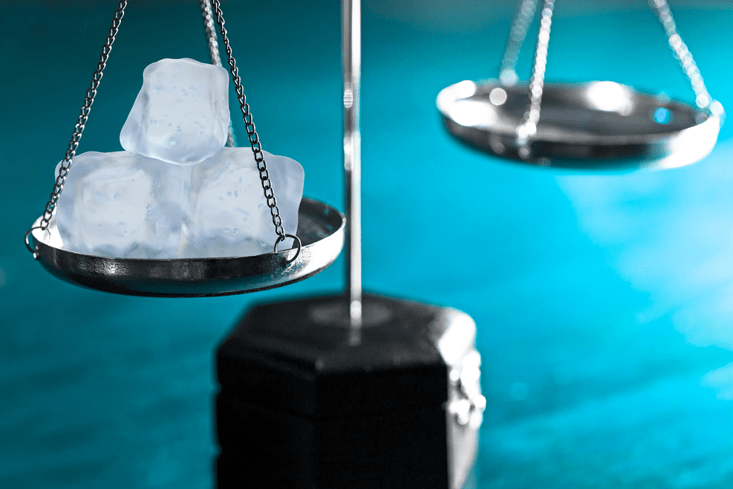 For now, Kaplan relies on a rule of thumb when looking for new near-miss Johnson solids: “the real, mathematical error inherent in the solid is comparable to the practical error that comes from working with real-world materials and your imperfect hands.” In other words, if you succeed in building an impossible polyhedron—if it’s so close to being possible that you can fudge it—then that polyhedron is a near miss. In other parts of mathematics, a near miss is something that is close enough to surprise or fool you, a mathematical joke or prank. Some mathematical near misses are, like near-miss Johnson solids, little more than curiosities, while others have deeper significance for mathematics and physics. he ancient problems of squaring the circle and doubling the cube both fall under the umbrella of near misses. They look tantalizingly open to solution, but ultimately prove impossible, like a geometric figure that seems as though it must close, but can’t. Some of the compass-and-straight-edge constructions by Leonardo da Vinci and Albrecht Dürer fudged the angles, producing nearly regular pentagons rather than the real thing. Then there’s the missing-square puzzle. 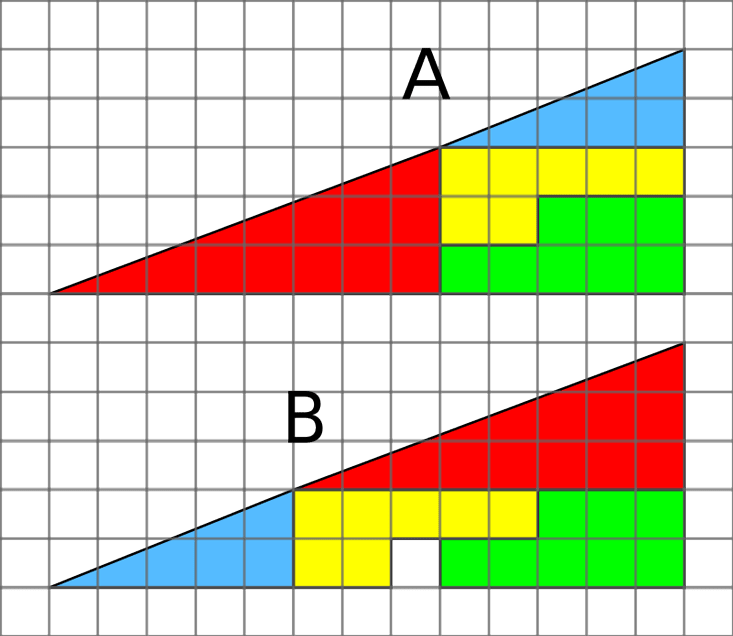 In this one (above), a right triangle is cut up into four pieces. When the pieces are rearranged, a gap appears. Where’d it come from? It’s a near miss. Neither “triangle” is really a triangle. The hypotenuse is not a straight line, but has a little bend where the slope changes from 0.4 in the blue triangle to 0.375 in the red triangle. The defect is almost imperceptible, which is why the illusion is so striking. A numerical coincidence is perhaps the most useful near miss in daily life: 27/12 is almost equal to 3/2. This near miss is the reason pianos have 12 keys in an octave and the basis for the equal-temperament system in Western music. It strikes a compromise between the two most important musical intervals: an octave (a frequency ratio of 2:1) and a fifth (a ratio of 3:2). It is numerically impossible to subdivide an octave in a way that ensures all the fifths will be perfect. But you can get very close by dividing the octave into 12 equal half-steps, seven of which give you a frequency ratio of 1.498. That’s good enough for most people. Sometimes near misses arise within the realm of mathematics, almost as if mathematics is playing a trick on itself. In the episode “Treehouse of Horror VI” of The Simpsons, mathematically inclined viewers may have noticed something surprising: the equation 178212 + 184112 = 192212. It seemed for a moment that the screenwriters had disproved Fermat’s Last Theorem, which states that an equation of the form xn + yn = zn has no integer solution when n is larger than 2. If you punch those numbers into a pocket calculator, the equation seems valid. But if you do the calculation with more precision than most hand calculators can manage, you will find that the twelfth root of the left side of the equation is 1921.999999955867 …, not 1922, and Fermat can rest in peace. 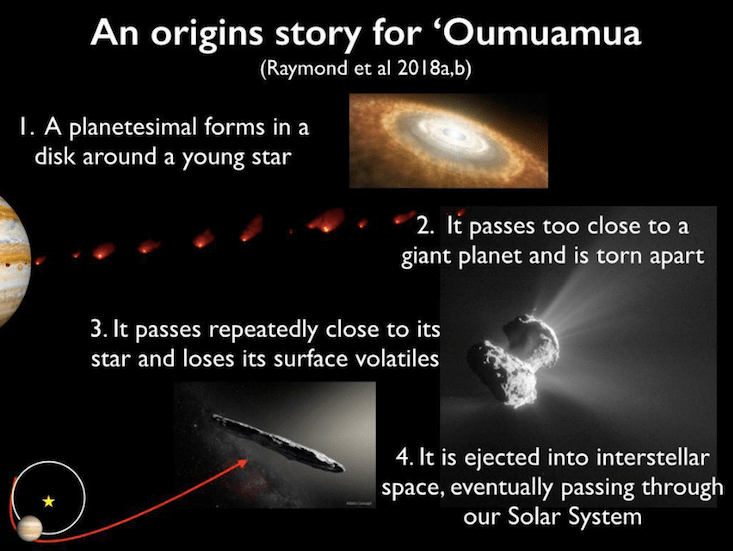 It is a striking near miss—off by less than a 10-millionth. But near misses are more than just jokes. “The ones that are the most compelling to me are the ones where they’re potentially a clue that there’s a big story,” says University of California-Riverside mathematician John Baez. That’s the case for a number sometimes called the Ramanujan constant. This number is eπ √163, which equals approximately 262,537,412,640,768,743.99999999999925—amazingly close to a whole number. A priori, there’s no reason we should expect that these three irrational numbers—e, π, and √163—should somehow combine to form a rational number, let alone a perfect integer. There’s a reason they get so close. “It’s not some coincidence we have no understanding of,” says mathematician John Baez of the University of California, Riverside. “It’s a clue to a deep piece of mathematics.” The precise explanation is complicated, but hinges on the fact that 163 is what is called a Heegner number. Exponentials related to these numbers are nearly integers. Or take the mathematical relationship fancifully known as “Monstrous Moonshine.” The story goes that in 1978 mathematician John McKay made an observation both completely trivial and oddly specific: 196,884 = 196,883 + 1. The first number, 196,884, had come up as a coefficient in an important polynomial called the j-invariant, and 196,883 came up in relation to an enormous mathematical object called the Monster group. Many people probably would have shrugged and moved along, but the observations intrigued some mathematicians, who decided to take a closer look. They uncovered connections between two seemingly unrelated subjects: number theory and the symmetries of the Monster group. These linkages may even have broader, as yet ungrasped, significance for other subjects. The physicist Edward Witten has argued that the Monster group may be related to quantum gravity and the deep structure of spacetime. Mathematical near misses show the power and playfulness of the human touch in mathematics. Johnson, Kaplan, and others made their discoveries by trial and error—by exploring, like biologists trudging through the rainforest to look for new species. But with mathematics it can be easier to search systematically. For instance, Jim McNeill, a mathematical hobbyist who collects near misses on his website, and Robert Webb, a computer programmer, have developed software for creating and studying polyhedra.